Renault UK is supporting its sponsorship of ITV’s The Jonathan Ross Show with a new series of idents that feature its crossover Captur model. The idents, created by Publicis London, link the Renault Captur’s spirit of adventure with the show’s range of guests and incredible stories by introducing the idea ‘Get ready for an interesting ride’. Idents will run around the first show, which airs on 18th October, and continue for the 10-week duration of the series. The spots feature three colourful and adventurous characters who act out everyday scenarios with the Captur in a playful and entertaining way. Viewers see a spaceman walking his dog on the moon, a pilot trimming a cloud into a moustache and a deep-sea diver being helped with his shopping by a giant octopus. 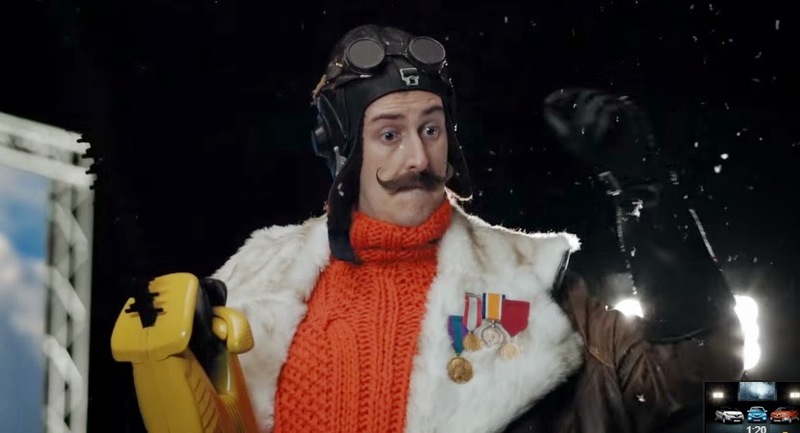 Publicis London introduced a graphic and stylish approach with the use of theatrical, playful, costumes and props. Renault’s sponsorship of The Jonathan Ross Show launched in 2013 with Publicis London creating idents around the theme of ‘animal attraction’ to promote Renault’s small car range. Brief: To convey the Renault Captur’s spirit of adventure in a way that’s in keeping with The Jonathan Ross Show.